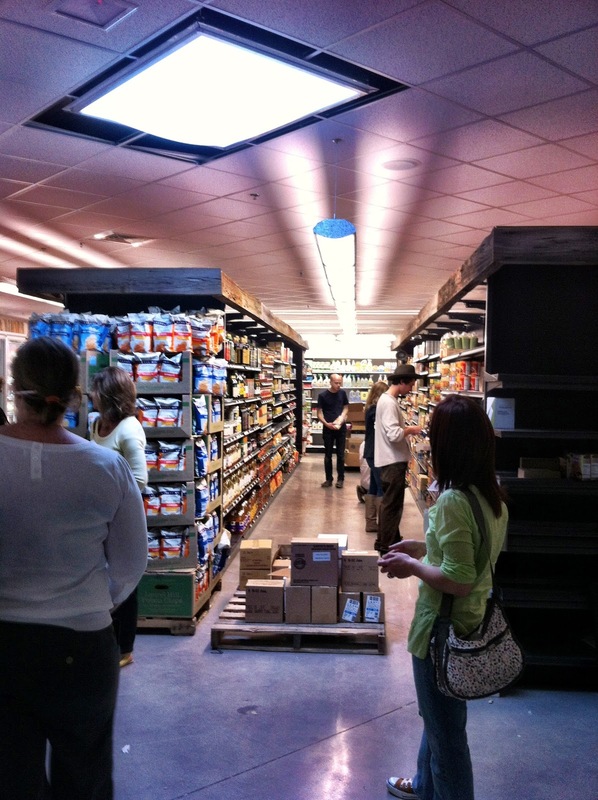 Last week I felt privileged to go to the preview party for the new New Morning Market location in Woodbury, CT. It's been five years in the making and it's finally officially open! It's only two miles north of the old location, but it feels like a whole other world. So many times you just go into a store and don't notice the little things. On our tour, led by owner John Pittari, we had the opportunity to learn about all the special details. There are a host of unique features from the flooring to the ceiling to everywhere in between. 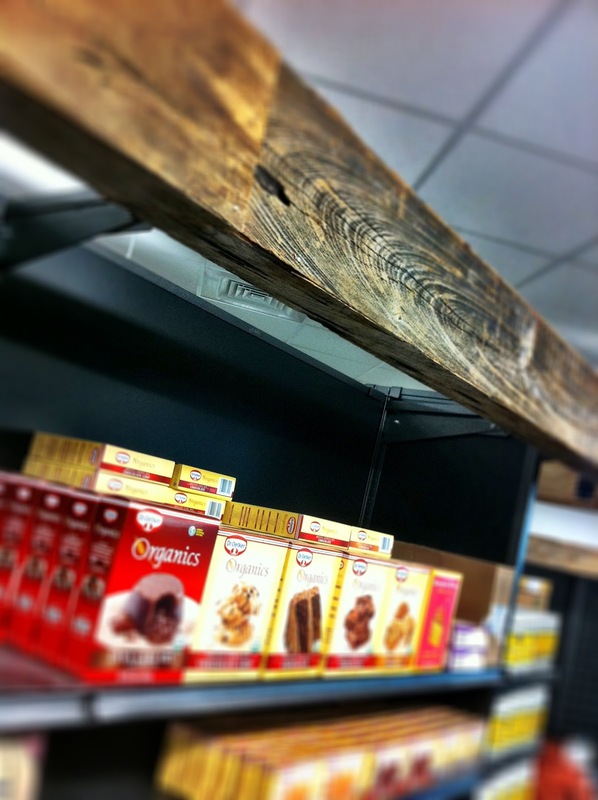 The aggregate flooring features stone from the Pomperaug area, the rough Roxbury granite pieces throughout the store came from the salvage pile and all the old wooden beams in the foyer and on the aisle shelving was salvaged from an area barn built in 1792. 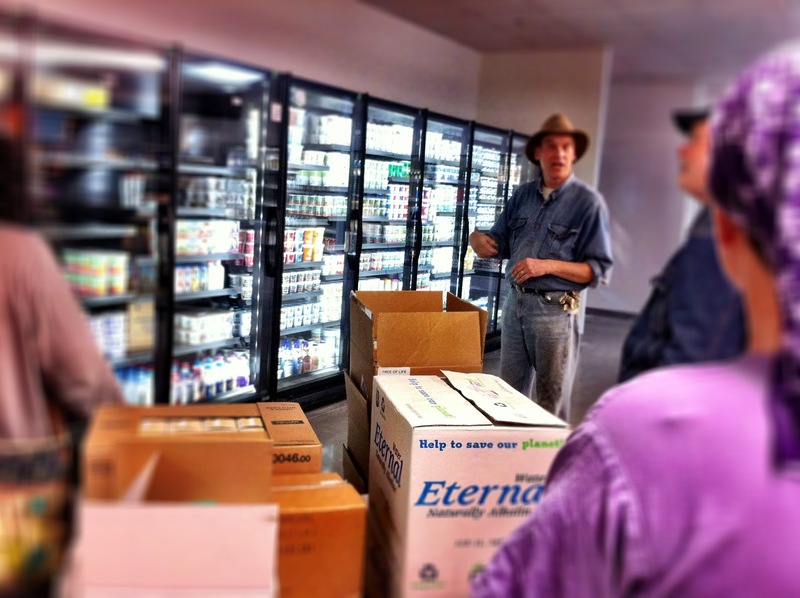 All the refrigeration units exceed the 2012 EPA standards. The closed door stock from behind dairy cases are more energy efficient and all have LED lighting. Behind the scenes, they now have a refrigerated produce prep room, which is good news for produce, helping to extend its shelf life. Throughout the store there are what look like lights, however they are actually skylights. As for the traditional lights, they have sensors and turn on in stages as more light is needed. 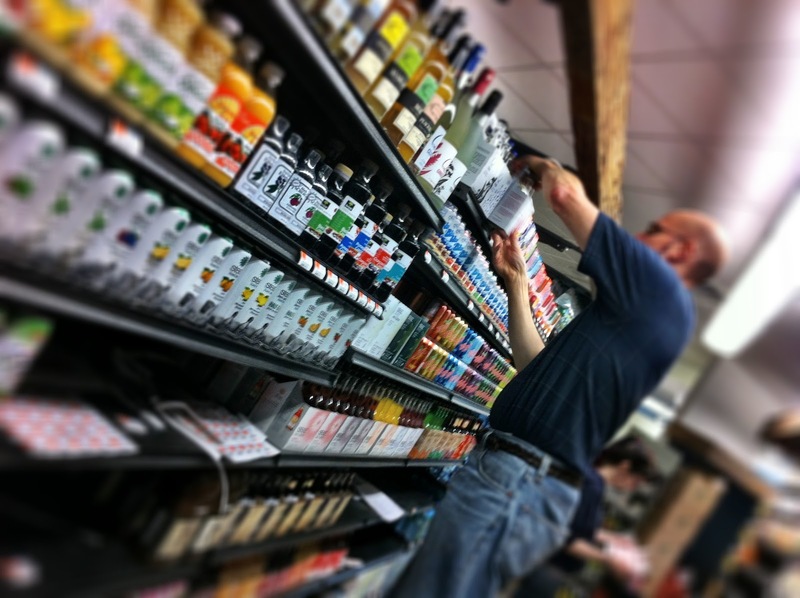 The bulk department is expanded by 25 items and now there are liquid bulk items too. There's even a local honey dispenser. I must admit I was totally tempted to dispense some directly in my mouth. Childish I know, but well, it's local honey! It's irresistible. There is a full service meat and fish counter and a full service cheese counter too. There's now a cafe area and a sandwich and beverage bar. You can grab lunch or a smoothie and sit in the cute cafe area which has large windows overlooking the garden nursery next door. 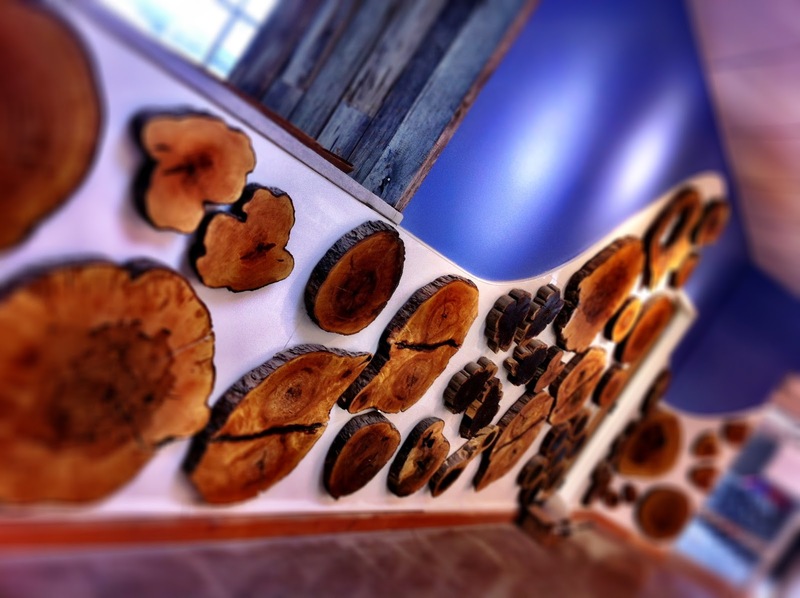 At the checkout area there are slices of fallen trees artfully arranged on the wall depicting the three rivers in Woodbury. On the second floor are the offices and a large community room that will be used for classes, lectures and special events. Since John and his wife opened New Morning in the 1970s this is only the fourth move in 40 years. As they look ahead John told the group "We're looking forward to growing together and setting down roots in a building we own." John and his New Morning crew are passionate about what they do and it shows. I can't wait to visit the new store again. In fact, the Grand Opening celebration is this coming weekend. There will be a ribbon cutting, live music, family activities, panel discussions are tons more. Check out the entire listing of the weekend's events.